Sevda Mustafa has been studying yoga for over 20 years. Her main influences being Iyengar, Hatha and Astanga. She has been taught by many amazing teachers including Godfrey Devereux. Zoe Knott, Bob Insley and Maarten Varmaase, which has influenced her teaching deeply. Sevda has been teaching around London for 3 years, after finishing the British Wheel of Yoga teacher training with Zoe Knott and Bob Insley. 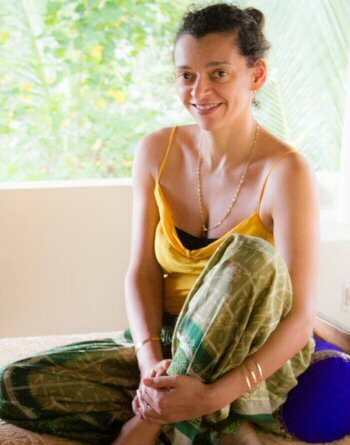 Sevda is very respectful of each student's individual needs within their yoga practice. Both beginners and advanced students wishing to deepen their practice will be welcome.